I just freaking love it. It feels awesome when I type. The rainbow lightning it offers are also awesome :DD but I set mine to red. It doesn't feel plastic as I thought it would, judging from the picture before I made the purchase. For only 30 dollars, I honestly think I couldn't have find a better keyboard. Cheap waterproof keyboard that looks good and the buttons feel niiicce. 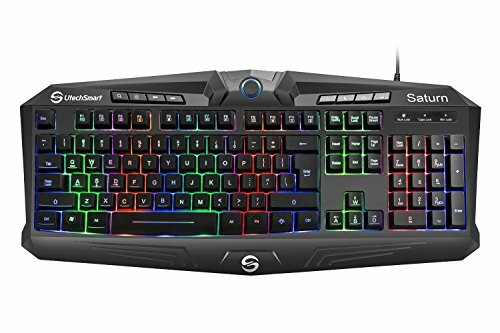 Great mechanical keyboard with back-lights for 24€. lots of shortcuts and command are available: volume control, media control, keyboard lock, WASD/Arrow switch and the letters/number are not painted so they don't vanish. Downsides: the color back-lights can be adjusted only via predefined shortcuts, and combinations are limited, also the wheel is not for volume control but for light intensity control, and it work as a on/off switch.